Click the button below to add the The Next Twenty Years to your wish list. Generations are among the most powerful forces in history. Tracking their march through time lends order—and even a measure of predictability--to long-term trends. 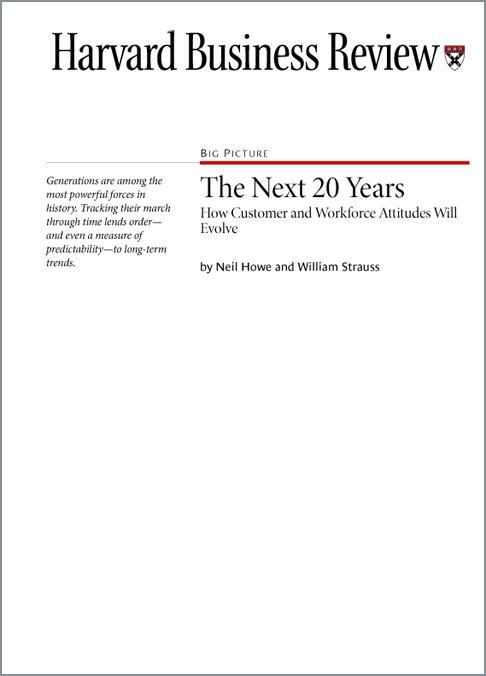 In this article, published in the Harvard Business Review, Neil Howe and William Strauss explain the trajectories of today's three dominant generations: Boomers, Gen Xers, and Millennials. 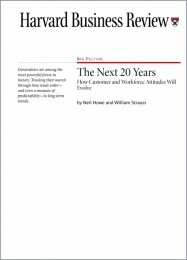 Understanding these generations can help you forecast market, workplace, and social trends decades into the future.